Welcome to The Pines at Placerville Healthcare. Our team of professional nurses, therapists and administrative staff work in conjunction with our activities, social services, dietary and environmental personnel to ensure quality services to our residents. We are committed to meeting and exceeding the expectations of our residents and their families. 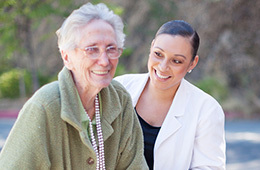 As the premier skilled nursing facility in Placerville, CA, The Pines at Placerville Healthcare Center provides compassionate and personal skilled care 24 hours a day. We have specialized in providing rehabilitation services onsite to help our residents regain their independence and return to their homes since 1962. It is The Pines at Placerville Healthcare Center's mission to provide our residents with compassionate, respectful and innovative care that enhances the quality of their lives. 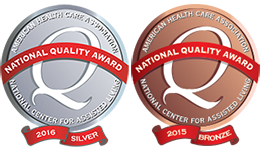 We invite you to experience our commitment to excellence at The Pines at Placerville Healthcare Center. Call today for a personalized tour.